This 1t oz coin was first minted in 1987 is still legal tender today was a value of £2. 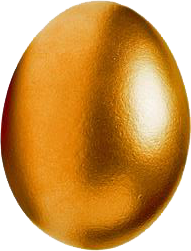 This investment is free from Capital Gains Tax (CGT). 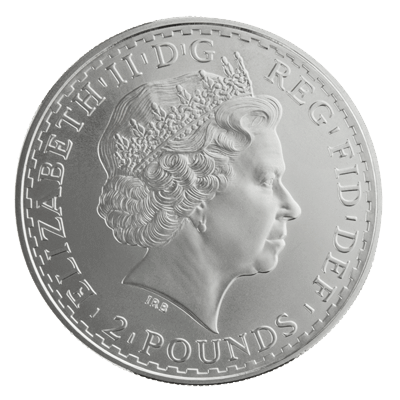 With the exception of those dated 1987 and 2013, each coin is made of Britannia Silver (.958 purity) and weighs 32.54 grams but equivalent to 1t oz of pure silver. 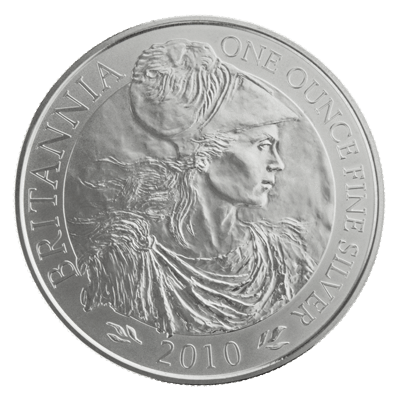 Britannia herself is depicted on the reverse and Her Majesty Queen Elizabeth II on the obverse. 1.0t oz or 31.10g of Fine Silver Content, each being encapsulated in a protective plastic casing.